DJ Ollie offers professional DJ and party entertainment for all types of events or occasions. The most important part of any event for us if the guests having a fantastic time, no matter whether we’re providing party entertainment for a Wedding disco or Children’s party; we aim to please! Many of our new customers are purely via word-of-mouth so we have made this party reviews and testimonials page to highlight some of the feedback we received over the years. If you have recently hired DJ Ollie for your party or special occasion we’d love to hear your feed back and what you thought of our DJ hire and party entertainment services throughout York and across Yorkshire. Please email us your comments, we always take on board any feedback we receive in order to try and improve our service. the DJ was fantastic. Rarely have we seen such a constantly full dance floor at a wedding. I would definitely recommend him in the future for sure! Myself, Deborah, and our guests had a great time it was an extremely successful day. You provided us with a very professional DJ service, with a very wide range of music for all generations. Something for everyone! It was great to see both the younger guests and older guests on the dance floor. Great day, great guests, great music, great time!! Tyrone - a quick mail to say a HUGE thank you for such great DJ’ing on Saturday night. Everyone loved the music and really didn’t want to stop partying !!! Again many thanks for bringing the party to a great ending. Best wishes and again thank you from us both !!! Staff party Hilton hotel - Everything was perfect! I certainly had a good night on Saturday, I enjoyed the racing as it brought a different element to the usual Christmas party format. I think the only downside was we could have done with more people their but that was nothing to do with you, more down to location I think. Just a quick email to say thanks very much for providing the dj for our wedding last night. The DJ was absolutely brilliant. Played all the music just to our guests Tastes and apart from a ten min spell when the buffet came out the dance floor was rammed all night!! Felt really bad because I didn’t get chance to thank him personally at the end of the night but if you could forward our thanks on to him when you get chance please it would be much appreciated. If there’s somewhere online we can leave a review for your company’s please let us know and we’d be happy to do so. Guessing you’ll be in for a busy night tonight so hope it’s a good one and all the best for 2018. Hi Tyrone, I just wanted to say a massive thank you to the DJ at my son's wedding. As promised, the DJ was absolutely brilliant and kept us all entertained and dancing all night, with fantastic music. Thank you for your outstanding, professional service. I wouldn't hesitate to recommend you to friends/ family in the future. The night was a complete success, thank you. I’m really sorry, but I can’t remember the name of the DJ but by the time the speeches were all over, he only had just over a hour to get everyone up, but get them up he did! Thank you! Just wanted to thank the DJ who did my surprise 50th birthday party at heworth golf club on Friday, he played the right music got everyone up dancing, i loved it. It was brilliant. DJwas spot on, really polite and kept the dance floor moving. We are so delighted how the DJ made our granddaughter Kaci-Leigh’s 8th birthday such a wonderful afternoon. He was brilliant from 1st meeting him he was polite and very confident throughout. He got the kids up and dancing which was a pleasure to watch. The party games where made to be exciting and he never left one kid out in fact he had helpers to see who was moving or not sat down quick enough. We would like to highly praise him and will definitely recommend him to others for any occasion. Thank you DJ for helping to create such a memorable birthday party . Just a little note to say thankyou for a fantastic party. Having tried to host a party myself for small children in the past I know it is not an easy task and can end up being rather stressful. However this party was so much relaxing as we could concentrate on the food whilst the kids were entertained. Asking for Adelaides favourite music and making her feel special whilst her friends sang happy birthday to her was a great touch. The games and music were varied and from the moment you started the 1st bubble game you had all the children jumping around and enjoying themselves. Many of the parents and children who were there said it was a great party and I will be recommending DJ Ollie to everyone. Thank you for providing us with an excellent playlist for our wedding at the York Pavilion on New Year’s Day. You listened to us with regards to the type of music we like to listen to and played a great set that had all our friends and family up on the dance floor all evening! Everyone there commented on what a fantastic celebration it was. Very friendly, approachable and professional service, we would definitely recommend you to all. The DJ was a brilliant party DJ, I cannot speak any higher of him. He was personable, helpful, listened to our requests and any quick changes we needed to make and he was happy to go with the flow to make the night a success. The race night part worked really well too. A true professional, please pass on my personal thanks again to him. thank you for managing our booking so well too. We will definitely use you again for any future functions that require a DJ. A huge thanks for giving our daughter and her friends such a great disco and seventh birthday party to remember.You worked so hard and were brilliant. Fantastic DJ for our wedding, totally understood what we wanted and played music over the night that suited everyone. There were a few technical difficulties (due to the venue) and the DJ handled it discreetly and efficiently without us really knowing there was an issue. The correspondence before the day was great and it was honestly something we felt we did not need to worry about as it was dealt with so well. A big thank you to yourself and Lee for providing an excellent service and being part of our special day. We thought you were absolutely amazing!! Nothing was too much trouble even downloading songs we requested. You played a mixture of music which was fab as our age range was from 1 years right up to my fabulous grandad who’s 82 (the one who was grooving on the dance floor) absolutely amazing service and we will recommend you to everyone we know when having parties and we’ll definitely use you again for future parties & events, top class service and we wouldn’t have changed a thing. Would you be able to pass on my thanks to the dj’s at my wedding on the 14/2/15 at the pavilion hotel. He really contributed to the whole day been a massive success. All the people I spoke to had a thoroughly enjoyable evening and from their comments, will have no problem in hiring your entertainment again. Many thanks for giving us a great evening. Hi, No complaints at all. Excellent and went out of your way to complete all our requests. The disco was perfect and the DJ was great. Thanks for arranging for us on such short notice, I will of course bare you in mind for the future and also pass on your details to anyone I know who needs them. Your DJ did a brilliant job DJing our wedding. He found all the obscure songs we wanted and made sure everyone was dancing the night away - from the grannies to the young 'uns! I would recommend him to anyone and for any occasion. Sorry about the delay in getting to you. I would just like to pass on our thanks for the set you put on for us at burn hall on 2nd August. Your tunes were tip top and the dance floor was never empty. It is greatly appreciated and the evening went down an absolute storm. Tyronne was amazing- really happy he was our Dj! we were really thrilled with your services at our race night, the guests all really enjoyed the evening and we couldn't have done it without you! We will let you know if we have any other events coming up. I just wanted to say thank you so much for two fantastic discos tonight. I had lots of comments from both children and parents saying they thought that your DJ was great and that it was the best school disco ever!! I just wanted to drop you a quick line to say a very big thank you to you and Lee for last Friday night. The summer party was a great success once again with lots of people telling me what a fantastic night they had. Thank you for your email. We had the most amazing day and we loved the disco which was provided. We would definitely recommend you guys to everyone. We couldn’t have asked for more. the DJ was excellent. He chose exactly the right songs. The private DJ we hired was absolutely great – well worth the money and couldnt fault him at all!! He got the party going and kept us all amused- was really friendly and welcoming and everyhthig you would expect form a DJ. DJ Ollie have done a few discos at our school now and we have already booked for the next school year aswell. They provide a brilliant service that enables us to cater from nursery children all the way up to yr 6 primary school children. Music is tailored as appropriate and they get the children involved in dance competitions and games aswell. The staff are friendly and great with the kids and always turn up with plenty of time for set up etc. The kids absolutely love our school discos and we are so glad we moved to using DJ Ollie and the team. Just an email to say how brilliant the school discos are at Bishopthorpe Infant School. It looks like we will have 2 a year at least and are very happy for you to provide us with 2 hours of great entertainment . The constant enthusiasum throughout the 2 hours is great , just what the children need! I know a few parents take your business card and 2 recently have booked a children’s party on the back of seeing the disco in action !! Thank you for making the evening a fun and enjoyable night. We hope to use you again in the future. We were really really happy with the music, thank you very much! Was a great day and night! We were extremely happy with the disco – you played just the right kind of music for a family wedding (ie one with a mix of children and adults) and I was particularly impressed with the way you managed to get good ending to the evening when we were getting very low on numbers (due to it being a weekday wedding I think). My husband and stepdaughter loved that you played their requests. Personally I loved the light show! Very impressed with the DJ I had for my 18th would definitely recommend to a friend and to use in the future. Thank you very much. Thanks very much for the receipt and thank you also for a very professionally organised and well run event. It gave our delegates something different and made for a relaxed and enjoyable evening by providing a welcome change of focus during and after our meal. The added bonus was raising some money for charity at the same time as being entertained. Thank you, once again, for being such a brilliant DJ on Saturday. You were great putting up with all of us and playing great music, thank you. It all ran smoothly, was a good professional setup and set. I’ve got no complaints. If I was ever to need a dj in York I would not hesitate to book your company again. Would liken to say what a fantastic job the DJ did on the night of our wedding every one danced and said how good he was. The service was great. The set up was quick and did not disturb the rest of the things going on. The dj played all the artists we requested and also responded to our guests request. We were more than happy with the service. We would like to thank you for the Race Night you ran in school last Friday evening. We were really pleased with the event and felt it ran very smoothly. Thank you for all your help and advice which helped to make the evening a success. 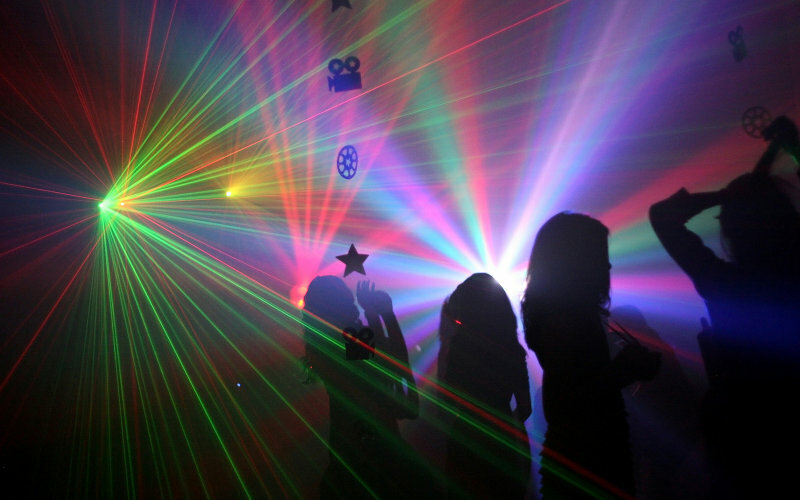 I just wanted to thank the DJ for a fantastic School disco at Bishopthorpe infant school in July . His enthusiasm was brilliant and delivered 2 great discos for 2 different age groups . The teachers all had a good dance too dispite the heat !! we will definately be booking again !! kind regards, Jeni Wood. It was a FAB night. Everyone had a great time (those that came!) and it was definitely a success. We will definitely be organising another event in the near future. Thanks for everything, a great day was had by all, the running total so far is over £800 raised! We couldn’t have done it without your help, patience and guidance. Being a complete novice at this sort of thing, your help and advice on the day made the whole day enjoyable and I was finally able to relax! I would definitely use your company again and refer you to others. Excellent!! – DJ was really helpful and played for the people at the wedding. Arrived at the agreed time and introduced himself, the photographer also commented on how helpful he was for the last set of photos. Would recommend you and your team you are a real professional outfit. Many thanks also for your help in the run up to the wedding. Kind regards. I just wanted to email to say a big thank you for the disco you did for our wedding at the Churchill Hotel last Friday. The DJ was great, the music was brilliant and many of our guests commented that it was one of the best wedding discos they’d ever been to! The dancefloor was never empty which just proves that the music choice was spot on. Thank you!!! Thank you so much for a wonderful Race Night! The service you provided was totally and utterly professional yet so friendly and reassuring. From the moment the booking was made, to the event itself, you have taken the trouble to answer my questions and kept me informed throughout. The evening went so well, even better than I had hoped and that was due in no small part, to way you compered the event. It was a brilliant success, raising a great amount of money for our Riding for the Disabled group here in Wakefield. The auction race at the end was unbelievable! You created a lovely relaxed atmosphere throughout and EVERYONE had a great time. It was fun, it was exciting and you managed to involve everyone without people feeling pressured to take part. I would recommend you wholeheartedly to anyone who is wanting to hold an event such as ours. I can’t speak highly enough of your professional expertise and look forward to booking with you again in the future. Thank you once again Tyrone, it was a pleasure to meet you! The dj was fantastic on Sunday. He got everyone on the dance floor and was brilliant with all the kids. He played everything he was asked to and the music types we had asked for. If we ever need a dj again we would definately book him. Thanks for a great party on Sunday. Having spoken to a few parents since, we’ve had good feedback. We thought your interaction and rapport with the children was great and aimed at the right age group. You kept their attention well with a good variety of games. We have just had a count up and we raised £1525.50 for our charity, largely down to the support and smooth running of the night from the compare he did a fab job! Please pass on our thanks to the compare and thank you again for all your help! Firstly may I say what a great job the DJ Ollie team does from the word go we really felt in safe hands. Thank you Tyrone for your hard work and reassuring us from the start your whole outfit is very professional. The DJ is a great asset to your company and We wouldn’t hesitate to recommend him to any of our friends. We met the DJ at Kim’s cousins wedding at the Fulford pavilion and after seeing what a character he was we knew he was the DJ for us. All throughout the evening he was getting everyone going and not just the guest, he got up himself on the dance floor he wasn’t pushy in anyway he is an absolutely fantastic bloke. Thank you very much Tyrone great job if we ever need another DJ we will give you a call and recommend you to all our friends please can you forward this on to Jamie (DJ Jam) being in the building trade it’s always nice to get nice feedback. Thanks again for a terrific evening that was enjoyed by everyone that attended. Everything was done in a professional manner and the evening ran smoothly because of this. Screen, sound system, DJ! were all of top quality and in particular the way you held the auction meant the club raised a lot of money. We as a club would have no hesitation in recommending you and I am sure we will be using your services again. oh my goodness – The DJ was an utter legend – we LOVED him. He totally made the party – off the charts. We’d totally hire you again- but we’d have to have the same DJ – He’s the one for us. The DJ was absolutely brilliant! His energy was fabulous and his manner with the kids was great. It was a real success! Thanks for your email. We only have good things to say about the DJ . He turned up promptly and organised himself with no fuss and packed the dance floor straight away and kept it full all night – exactly what we wanted. He was a really nice guy and liased with the wedding party very well. I would recommend your services highly to our friends and family. Thank You for making our day special. Just wanted to say how much we appreciated what you did for us on the World Challenge Race night Saturday. Elle and Ben raised over £1500 for their World Challenges ! You really were the ‘master of ceremonies’ and a huge support, sorting out what we needed to do and helping us with the timings of food and bets. I didn’t say on the night but thought you did really well to match the music to the audience. I was dancing away in the kitchen whilst cooking the pie and peas and your auction techniques were superb, raising as much money as possible whilst making it funny and entertaining. It all helped to create a great atmosphere and a fun night for all. We will be having another race night in due course and you will be the first on our list to call – happy to highly recommend you to anyone ! Thanks very much for your DJ services at our wedding. We had a brilliant night and you managed to get all the guests up and dancing which is what we wanted. Your gangnam style dancing was great! Thank you yes was a brill evening, thanks to the dj who was super with the childs requests lots of gangman style was a hit for adults watching them strut there booths lol cd gift was nice too thank u. Can I ask you to pass on a big thank you to your DJ for doing an absolutely amazing job at our wedding. He got everything just the way we wanted it and was very friendly and helpful. I also want to thank him for putting up with my appalling attempts at singing towards the end of the night! I’m afraid I’d a few too many by this point. We are very grateful for all of your help in organising those additional songs to be played at such short notice. If I know of anyone who needs a DJ I will definitely recommend your services. We were really pleased with the service provided many thanks! Dear Tyrone, just to say how great DJ was for our school disco last night. He pitched both sessions just right and all the kids had a great time. By the end of Ks2, the place was rocking and witnessing them doing Gangnam Style en mass was quite something! Thanks again. As you know, this is the second time we’ve used you in the last 3 months and I have to say, once again that we had a great evening. The DJ played most of the requested playlist and topped it with his own choice. I feel that a great DJ has the ability to read the room and generate energy. He was able to quickly resume the party atmosphere after the ‘Dad’ speech and DVD. Facebook was alight with comments in the early hours and the following day…. testament to a great evening! Thanks once again for the service !!!! Further to our conversation earlier. I just wanted to thank you once again, for providing such a brilliant DJ, on Saturday night . You provided us with a great service and will highly recommend you to anyone needing a DJ. We had a fabulous day and evening! Everyone has commented that the music was amazing and it was the best wedding ever! Many thanks for your e-mail, everything is fine following our wedding although we are both unfortunately back at work rather than sitting on a beach in the Maldives. With regards to feedback for your disco services I can honestly say that it met and indeed exceeded our expectations and all the feedback that we have received from the guests was that they thoroughly enjoyed the event and the music and interaction provided by the D.J was first class. Many thanks again for being there for our special day and should you require any further information for a testimonial etc then please do not hesitate to contact me. It could not have gone any better. James was very entertaining. Lots of people commented on how great he is. Brilliant DJ! The dj for our wedding was brilliant. We had a bucking bronko at the start of the evening and he played some good songs to get everyone up and in the mood to have a go. when it came to our first dance song it was perfect and couldnt have been any nicer. He also played lots of requests and even allowed my uncle to sing on stage!! If we ever need a dj again we will be sure to call and book you. Thank you for making our wedding reception such fun!! The disco was excellent. The DJ was both friendly and efficient. Loads of people were dancing. Would recommend djollie unreservedly. Best wishes. what can I say about the DJ !! He was absolutely AMAZING! He made the evening do! Fantastic music and did exactly what we wanted – lots of 80’s and a good mix of recent stuff. No cheesy stuff and he completely pitched it perfectly. He was friendly and likeable! I can’t talk too highly of him! A complete asset to your company. Thank you VERY much for a brilliant night. I will definitely be recommending your company. Hi, Yes thank you , all good .Thank you everyone had a great time . Am glad you enjoyed the steel band. It was brilliant, dj was great, very attentive and made sure we were happy with everything throughout the evening! Just a thank you to you and Jamie for last night, it all went very smoothly and everyone enjoyed it. Thanks to Jamie for being cheerful and flexible with our odd requests! Feedback from the party goers was excellent, particularly as The DJ made the choice to set up (upstairs overlooking the balcony to the dance floor below which gave a ‘club feel’. The evening started slowly and took hold after 10.30 after the food and our ‘Wedding dance’ (but it was good to have the music playing throughout)…. then time flew by…my son felt we should have gone on longer as it was in full swing by the time we finished. Just wanted to say a big thankyou to you and your team for a fantastic evening disco. The member of staff that you sent was a total star. The music was great and everyone really enjoyed themselves. We will of course recommend you and your team to friends and family. Tricia here, just a quick note to say thank you on behalf of both Oatlands Infants and Junior PTA’s for the brilliant disco that the dj did for us on Friday. Everybody enjoyed it and had a great time. Can you pass on my thanks again to him for a great job. Once again many thanks for your help I’m sure we will be contacting you again next year. The Dj was a surprise to many…. in a good way. Did a great job getting people up dancing and enjoying the night and also fitted in well whilst the band were not playing. I’d recommend him to others for sure. Well you always want to ensure you get a good DJ, especially when it is your wedding day and I have to say that both Louise and I thought that DJ OLLIE was perfect, great mix of tunes and the dance floor was full all night long. We would absolutely recommend Tyrone and his team to anyone as the company is so flexible, trustworthy and reliable. Thanks Tyrone for being so accommodating with the positioning of the disco, setting up the bouncy castle for the kids and for having some banter with some cheeky guests. Finally, we have and will recommend you to others and when we’rein the market for a disco sometime in the future we will contact you”. All the best. Just like to say thank you. The DJ was great last night. Played a great selection. Just what we wanted. Jill and I would like to say a very big thank you for being the DJ at our 25th wedding anniversary last Saturday at Melodies. Thanks for a great night, mix of music and getting people on the dance floor. Everyone has said what a great time they had.Would definitely recommend you to others thinking of having a celebration. family wedding we wanted the children to really enjoy themselves as well as the adults and the mix of music was perfect to keep everyone on the dance floor! Thanks again! We’ve no hesitation in recommending you to other couples for their own big day. the disco was perfect great mix of tunes, dance floor was quiet because a lot of people there wanted to talk as some hadn’t seen each other for many years. Music was great though, played plenty of requests, rock etc first dance went well and managed to find a rare record for the last song of the night. Hi Tyrone. Just got back from honeymoon so didn’t get chance to reply before. Well what a dj, he was fab everyone loved him and it was great that he joined in. We were very pleased so please say thank you to him. I must say that you were very friendly, you were more than happy to take on music requests. And, as the bride absolutely loved the music, sometimes I really wanted to go mingle with my guests but it was all the old classics which I loved and really had to dance too. A number of my guests have also commented that the music was good. 100% positive feedback. Loved it. We had a brilliant 70’s/80’snight on Saturday. I was really impressed by your services, our dj was fantastic, he turned up early to set up, he had with him our emailed song requests and played all of those and did his best to play all the additional ones requested on the night, everybody loved it! I wouldn’t hesitate to recommend you to others, thank you so much. The DJ was very good and people were on the dance floor all night – can’t get a better recommendation than that! Thank you for the disco you provided last night for my daughter. Forty 13 year olds are not easy to keep amused but the DJ ensured they all had a great time. Pocklington Rugby Club was bouncing and screaming all at the same time. Exellant service, and a stress free booking. Really good party, kept all the children in order and entatained them for the full two hours. No complaints and would use you again and recommend you to friends. The Mount School Association has used DJ Ollie for many years. The children love the discos and eagerly look forward to the evening – dancing, games and lollies for the winners! We would be happy to recommend DJ Ollie. Thank you for a great evening it was really nice to have the music played at a reasonable level at the times when people wanted to talk and eat with a good range and the ones that we had chosen. You where very helpful and we all enjoyed ourselves. Hi, it was very good and entertaining, all the children seemed to enjoy it as well as the parents. Well organized on the night, excellentmusic throughout, racing a big hit and nothing too much trouble, all at goodvalue, We felt comfortable leaving you to it and most of all friendly & approachable. Your website which stood out from the restfully lived up to our expectations on the night. all the kids were fully engaged and keen to join in and my husband and I were very very grateful for the way you tailored your games. The disco was a massive success. 330 very over excited but very happy children! We will be in touch To book again. The feedback from the teachers is that the disco was excellent. They said you communicated well with the children and liked the games you organised. You ensured that children were engaged and wanted to join in. The music selection was great. The children loved the disco and the staff loved the one at Churchills too. I thought there was a good selection of music there too. Thanks – I’m sure we will be booking you again next year. Thanks very much for last night, kids had a fab time and I spoke to the head today who only had positive comments about the way you entertained the children. I have asked him to make sure the date for the Easter disco is sorted at the next meeting and will then let you know so we can book it. Thanks again, have a great Christmas. 8.30pm until the early hours!! I recently had my wedding at the York Pavillion. We had opted for a package which included a DJ for the reception, The feedback that I have had from my guests has been overwhelming on how good they thought he was, they found him to be the “life and soul” and got people dancing all night. I would like you to pass on my thanks as it seems he really created an atmosphere amongst our guests. Hi Tyrone, Just to let you know that we were extremely happy with the disco at our recent wedding at the KP Club and the DJ was brilliant with us on the night. We thoroughly enjoyed all of the music that was played and we really appreciated that your dj managed to fit alot of our song requests into his playlist. Everyone commented on how good the disco was, so please pass on our thanks to your dj for his hard work on the night. We’d certainly recommend you to anyone who wanted a disco in your local area. Thanks again. All the best. Your dj did a great job. He remembered a lot of the children’s names and helped maintain a positive atmosphere for everyone. Your dj took the trouble to find the songs that Lauren requested and played as many as he could; and we enjoyed the games too. We all had a great time. Thank you. Thank u so much for helping to create a great atmosphere at my 40th, the music was perfect, just what I hoped for. I would definately recommend your services. Thank you again. Kind regards. One of your dj’s did the music at the party I organised on Saturday October the 22nd at the sports club in wilberfoss. Unfortunately as I had had a few drinks I cannot remember his name (sorry!) but I wanted to say what a pleasure he was to have at the party. He was very friendly and couldn’t do enough for us. His playlist was spot on, and even managed to find a couple of extra songs for the guy whose birthday it was which made his day. I will definately be recommending you and this particular dj to all my friends, and will also be using him again when I next organise a gathering. Please pass on how pleased we were with his work, and that he had many compliments from the guests. Sorry for the delay just got back from our honeymoon. Disco was fab thank you! I didn’t stop dancing the whole night, would certainly recommend your company to others. the DJ at our party was excellent! All our guests kept asking him where we had found him from! He really made the party go with a swing! Thank you we were more than happy with your services great night with your contribution. any more feedback if needed to any future customers if you wanted. Also the music CD is wonderful it is a special keepsake towards the memories of our Big Day. We were really pleased with the disco music was spot on no problems. Hi there, Aimee had a great party thankyou and everyone commented on how good it was. The kids were kept entertainedand busy throughout and the adults didn’t have to do a lot which is always a bonus!! Would definitely use you again and recommend you to friends. Hello Tyrone Just to say again how pleased we were with the discos you provided last Tuesday at Hempland. The children obviously had a great time, they were all up joining in with the games and dancing. I heard one boy said it was the best disco he’d ever been to! Hi Tyrone. We have just got back from Honeymoon. Our wedding day day was perfect. You kept all the guests entertained with your dancing. The songs you played were on our list so all in all it ticked all the boxes. when we are organising a family party in the future I have kept your details so I may be in touchy. Regards. Sorry for the delayed feedback, we have only just returned from our honeymoon. I just want to thank you for how easy the booking process was and thank your DJ for his contributions on our special night. He arrived early, waited discreetly until the meal was finished and set up very quickly and quietly. He introduced himself to me and was very patient waiting for our first dance whilst Tamsin was floating around on her Bride duties chatting with everybody and getting even more photos taken! Thank you very much again and we will definitely be recommending you to our friends. I was going to drop you a little note anyway, just to let you know we were very very happy with the service you provided – it was exactly what we asked for and more! The mini indie/rock set was a personal favourite for me – and I’d not even thought to mention it to you until we discussed things that evening! We also had a number of our friends comment on what a good DJ you were, how you accomodated peoples requests, and asking who you were etc … of course we’ve let people know who you were, and told them we’ll pass on your details if they want them at a later date. Just a quick email to thank you again so much for a fantastic evening. This was the second year in a row we have booked you and again you have not failed us. Everyone commented on what an enjoyable evening they had and how much they danced. The proof was in the pudding – the guests from the wedding next door wanted to come and join us instead. Thank you so much again and here’s to next year. Keep your diary available as will be in touch very soon. Everything was fantastic on our wedding day. The DJ was very well presented, friendly and accommodating. I was approached before the disco began to go through any last minute requests or changes. Music from the artists that I had requested beforehand were all played and I was particularly impressed when my brother asked for a rather obscure song. The DJ did not have the song in his library but purchased and played it for my brother who was very happy about that. Thank you for a great night. We will definitely be recommending your company in the future. Hi Tyrone – thanks for yet another top DJ Ollie racenight on Friday. The fundraising night went so well, with my wife raising over £1k……all with your help mate. Would recommend you to anybody looking for an entertaining night, delivered by a top class host! Just wanted to say a big thank you for providing a DJ to do my party. Hello Tyrone Sorry for the late reply but I just wanted to take this opportunity to say thank you for making sure the Yr 11’s had a wonderful evening at their Leavers Prom. The music, karaoke and lighting made the atmosphere fantastic and a brilliant selection of music and interaction between yourself and the crowd ensured they were up on their feet all night dancing. Thank you again for agreeing to be part of this special evening. That sums up my feelings, DJ was brillient and really read the crowd which was obvious from the packed dance floor all night. He worked amazingly well with the live band, you would have thought they worked together all the time and it was seamless!! I worried about having a DJ and live band that people would only dance with the live music – I was totally wrong, they and I was dancing all night!!!! I had to change my shoes 1 hour in I was up dancing so much!! The Bouncy castle was a great success and the adult numbers matched the children on it easily, so glad I went for the adult castle!! Even I had a go in my wedding dress!!! The wedding was perfect thank you very much. we had an amazing time! The DJ was great. Great choice of music, interacted well with the guests. I wonder if he’d seen 3 blokes strip on stage before when he played “you can leave your hat on”?!!! It added to a brilliant party!! Thank you so much for the disco you provided for our wedding. It was exactly as we requested and everyone really enjoyed themselves. You dealt admirably with our last minute changes, apologies!! I will recommend you to any friends that may be requiring a DJ in the future. disco he did – the dance floor was never empty so thank you again. Just got back from honeymoon so first chance to thanks for a great evening, your music pleased all ears i think but a special thankyou for getting the requested tracks absolutely spot on as they meant a lot to us both. If i ever have another private function i wont hesitate to contact you..
No problems, would love to give you some feed back. All my guests really enjoyed your choice in music and thought that you managed to keep the relaxed atmosphere that we had been lucky enough to have at the pavilion through out the rest of the day. I would highly recommend you to any future clients. James was a legend! He came to find us and introduce himself before the evening proceedings began, and he was very well turned out (dressed). I honestly don’t remember him playing a song that I didn’t like… although I hear that he played a JLS song for my 10yr old niece, but I wasn’t in the room at the time so we’ll let him have that one. Honestly, he was spot on… fun, approachable and a great attitude! Our guests have since commented on what a great job he did too. Our entire day at The Pavilion was absolutely fantastic, and James definitely played a big part in that. Just wanted to say we were really grateful to you for doing matt’s surprise 30th birthday. We all really enjoyed ourselves, and thought tom was really professional and played everything we asked him to. We will definitely use your services again and recommend you to others. Thanks for a good stress free evening. The day went well thanks, we had a great time! The DJ was excellent, he was prompt and flexible in setting up as the day over ran a little, he played a good range of songs and even played an extra few songs at the end as people were still dancing. Given that some companies I approached for a quote didn’t even get back to me, I had nothing but a professional service from start to finish and would recommend you to others without hesitation. I just wanted to drop you a note to say a massive thank you for such a brilliant disco you put on for my party. Your DJ got it spot on with a fantastic mix of past and present. He did all the things I wanted, including a fab Motown set for me… couldn’t get my sister off the dance floor! He was so accommodating, friendly and helpful and was really keen to get the mix right but also to put on any special requests people asked for. The time flew and we had just the best time! He even played my preferred last song, Rick Astley – despite the groans of my nieces. The night was highly organized, set up, and co ordinated by yourself, and the Sound System was top class that you provided.Appreciated your top class professionalism, with regular updates and reliability to do a first class job, would use you again, and recommend you to others. My little girl’s 5th birthday party on Saturday with bouncy castle and disco was fantastic. Far too many little ones to count. You are brilliant with the little ones. I’ve been to a few of your parties and you make sure no one feels left out, you get them all on board with you and you get the level of music just right – not too loud so the littlies (2yrs) don’t get overwhelmed. What’s nice too is a lot of the parents were looking forward to going along to the party as they’ve been to your do’s before. Thanks so much for all your hard work. As you will have realized on the night that the party was a success. I regard the 3 main ingredients for the evening to be of equal importance, the venue, the catering and the music. I must say that you certainly delivered the goods. The brief I gave the hotel was followed for the first 2 sessions and you kept the party going very well for the final part reading the audience and keeping the dance floor full. My guests were of varying ages and tastes and many were complimentary with regard to your part. Thank you for the part you played and I will certainly recommend you. As usual you ran a great night for us, you were really professional and everyone had a fantastic time. Lots of people have been asking when the next race night will be. We raised £532, so we are all really pleased. We’re looking forward to using your services again. We will definitely recommend you to other groups. Emily loved her party thank you! I vee had some lovely messages from her friends mums to say they all had a really good time. For us as parents as well it took the pressure out of entertaining ourselves, so I will definitely use you again and highly recommend, well worth every penny! Thanks again for the party, Louis loved it and all his friends feedback that they all really enjoyed it. A lot of the Mums were saying how good the party had been and that all the kids were exhausted when they got home which was great. The games were great, all the kids got involved and loved it. The involvement with the kids was brilliant, it made it very easy for me which was great. All the kids got involved which was good as well. You made it easy for them all to join in and they all had a really good time. I thought the party was excellent on Saturday, you did a fantastic job and obviously have a natural gift with getting the kids involved with the party games, they all seems to have a fab time. I would highly recommend you anyone who is having a party and wants a DJ. I had a fantastic night for my 40th Birthday the DJ James was fantastic he really got into the spirit of things and was dancing himself all the time. Everyone there commented on how fab he was. I have two other friends who have asked me for the details of the DJ I had for their 40th Birthday parties also, so party on!!!! Sophie had a fantastic birthday party albeit she still felt a little under the weather. You really entertained the children for the entire time of the party and i have already recommended you to friends looking for ideas for parties. No doubt we will see you again at some point in the future. Wishing you continued success and thank you again. The DJ services Jamie provided (including his dancing!) were second to none. We thoroughly enjoyed our night, as did all our guests and the dance floor was never empty. We cannot recommend him highly enough and I believe some friends of ours will be contacting you to see if they can book Jamie for their own wedding in May. Our overall experience of DJ Ollie Discos has been nothing but positive. Many thanks to Jamie and to you.